One of my favorite sayings is, “Carpe Diem” which means “Seize the Day.” Like Ralph Waldo Emerson writes, “”With the past, I have nothing to do; nor with the future. I live now.” If you really do this, you will live a life with passion and strength that builds upon the core foundation that makes you who you really are. Remember there are no judgments and only you can control the outcome. One of the core premises of ‘living in the now’ is that you need to really become engaged in what you are doing this very moment. In a world that is filled with so many distractions (e.g. cell phones, internet, TV, etc) it’s a wonder any of us can live in the now. However, research has shown that by focusing on more than one task at a time (e.g. multitasking), you actually sub-optimize yourself and do not perform at your peak performance level. So focusing on a single item, a single task or single conversation, with 100% of your energy can really make a huge impact on your effectiveness. This focus can build up positive momentum that will allow you to be more productive rather than trying to juggle four tasks at one time and doing them all at less than 100%. While it may be difficult at first, focusing on a single task and giving it all your attention can really bring your amazing results. Sounds great but how do you do this? I have these 5 steps that you can use to better “Seize Your Day” and really make an impact. Turn off the background noise. When you are having a conversation or involved in a discussion, focus on the person or people who are speaking and turn off all the other noise. I know this is easier said than done, but start a revolution whereby you turn off your cell phones when in meetings, put down your laptop cover when on conference calls, and really engage with the issue, topic or task you are performing. Save specific time during your day to handle followup calls, emails, etc but do not let them creep into every activity you conduct each day. Listen. A leader is someone who can really focus and get to the core issue at hand. They have a unique intuitive reasoning that is focused on listening at not only what is being said right now but how it is being said and for any underlying aspects including what is not being said. This form of listening is called “Intuitive Listening”, which is the deepest and most impactful type of listening. There are three (3) types of listening that we do. The highest form of listening is intuitive. Next comes objective listening where you are completely focused on the person speaking but not necessarily “reading between the lines.” The lowest form of listening is subjective listening whereby you are only listening for your point of view or perspective and not totally engaged in really sensing the moment. Regardless of which level of listening you are mastering, open your ears and start paying attention to what is being said to you. Start focusing on the conversation and the underlying meaning of what is being conveyed. Use pictures, agendas or other items if listening remotely to help you focus. Focus your energy on really listening and on the task at hand. Doing so will give you some amazing results, I’m sure of it. Stop multitasking. This step can be very hard for many of us. We have been taught to try to do things as fast as possible and ‘do as much as we can’ rather than on focusing on the quality that is being produced. Technology can also tempt us to work on multiple items while we are ‘listening’ to another conversation or involved in conference calls. However, are we really ‘listening’? Our distraction can cause us to lose sight of the purpose for the conversation and actual waste our time and energy. Giving your full attention to tasks, individuals, or the meeting at hand will allow you to be more productive, more engaged, and more energized on how you can serve the situation at hand. If the call is not important enough for you to focus right now, than make suggestions on improving it or look at ways to become more engaged. I know about those awkward moments on a call when you are called on but were not listening! I have been there and done that. However, following this approach does not allow you to get the most out of the situation. You may miss the most important part of the conversation or a point that you can contribute the most and miss providing key insights into the conversation. The focus you have could be the main point in helping your team win or lose a deal. Do not miss out on the opportunities. Focus Right Now. When you have stopped the multi-tasking and you are not thinking about what has happened in the past or what will happen in the future, you are focused on the now, the moment right in front of you. When you are doing this, you are giving 100% of your attention to the task, conversation, or issue at hand. This approach will allow you to be most successful. You will be attuned to what is happening around you and with this focus you will start to see some amazing results. Each moment in our life is precious. Following these simple five steps can really make a huge difference in our ability to be successful. Why waste your energy and sub-optimize your results when you can target your mind and your focus on the one task in front of you, right now, this very moment? I know that if you start living this principle you will really see an impact on how you interact with others, what you observe, and how much you can really accomplish. I know you can be successful with this and I hope to see more of you out there focused on the now and really engaged in the life that is right there in front of you! Seize the day, my friends! Seize the day! So much is sitting right in front of you, just be focused in the now. I salute you and your success with this process. 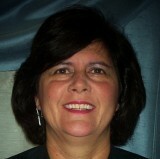 Lynn Anderson is Chief Executive Officer of Coaching4Abundance LLC (http://www.coaching4abundance.com). Lynn has over 25 years working in the government, corporate, consulting and now entrepreneurial world. She focuses on the positive and continues to look at all dimensions of her life including those of a successful business women, wife, mother, tennis enthusiast and friend to those she comes in contact with. Her philosophy is to live each moment in a positive way, remember your true core values, and live life to the fullest in every possible way. It’s up to you but you can do it!